Efficiency while using Electronic Health Record Systems. Efficiency and accuracy are two words that should come to mind when thinking about the importance of your health care. To us, at Mobile Physician Services, it is even more important that we are on top of everything and that we are providing the absolute best health care for our patients. By doing so we use a very well organized EHR system that both our providers and patients have access to. An Electronic Health Record (EHR) system is a secure, user friendly, web tool that electronically stores a patient’s health care information. Today most health care facilities use their own form of an EHR system. EHR systems store almost all of a patient’s health information ranging from lab work documents to doctor’s notes. With Mobile Physician Services being a multi-specialty practice our EHR system allows our specialists to collaborate and provide accurate care for our patients. It is extremely important for specialists to cooperate as a team when providing care for patients with complex and chronic diseases especially when it pertains to prescribing medications and continuity of care. 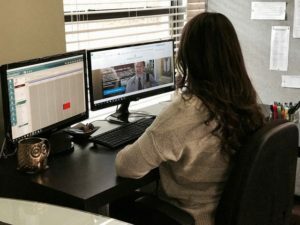 Our EHR system allows our providers to communicate with and provide in-sight to each other while treating the patient’s health care in an efficient manner. Another important tool our EHR system provides is patient access, known as the patient portal. A patient can opt into the patient portal by just providing their email address. Once enrolled, our patients have access to most of their personal health information that has been provided. The portal grants the patient access to any of their own lab work, x-rays, ultrasounds, visit summaries, and more while enrolled with Mobile Physician Services. Patients can also request prescription refills, see any upcoming appointments, and communicate with a Patient Care Coordinator to address any questions or concerns regarding their health care. Adapting to the new technology in health care can be tough for some but Mobile Physician Services is still just one simple phone call away. We are aware of the importance of being comfortable with and understanding your health care provider. Providing outstanding care at our patient’s own pace is very important to us and we strive to offer our patients the best in health care and technology.